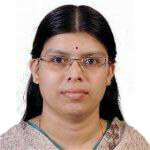 Architect Padmaja U.K. has been working at Persistent Systems Limited since 2003 on various Microsoft Technologies. Her focus has been on Microsoft Azure since the CTP was introduced in October 2008. She has worked on migrating applications to Azure as well as developing new applications on Azure since then. She was selected for the .NET campaign in 2009 on Azure by Microsoft and is a Microsoft certified Azure Solution Architect. Principal Architect Tushar Jangle has more than 18 yrs of exp working on Microsoft Technologies. He has been working at Persistent systems for last 2 yrs leading the Microsoft Technology practice, Cloud practice and IoT practice within the CTO. As part of the cloud practice he leads the Azure capability building initiative for Persistent Systems.